"Authoring" is the conversion of your content (video, audio, images, etc) into a format readable by DVD and/or Blu-ray set-top players, and computers that are compatible with these formats. This usually involves encoding video and audio, creating interactive menus, programming behavior variables and premastering test discs for client approval. Authoring can be simple or a daunting task depending on your project. We have authored hundreds of titles and can apply this experience to your masterpiece. To ensure that your disc will be user friendly, high quality, and enjoy optimum compatibility, let us handle the authoring of your next project. 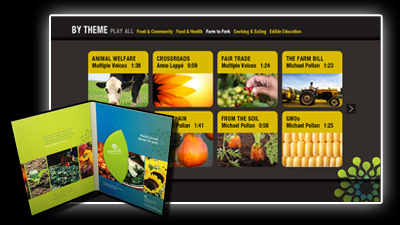 Worldlink decided to push the limits of DVD authoring with their Nourish titles (featuring Cameron Diaz, Michael Pollan, Jamie Oliver, and more). Their main feature DVD was a fairly straight forward project with closed captioning and subtitles, but their Shorts DVD had 54 short films that they wanted presented in three different ways. The DVD also had a functionality that played all 54 shorts in three different orders, and would even play them in random order. We learned about eating right and the limits of the DVD spec. "BullseyeDisc is an outstanding partner for DVD authoring and replication. Their team is professional, creative, and focused on quality. We're delighted with the results." 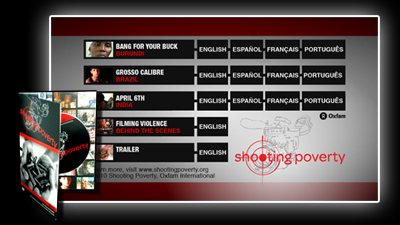 Oxfam contracted us to produce this cutting edge project featuring multiple award winning short films about violence in the third world. The features contained subtitles in four languages. "My experience with BullseyeDisc has been uniformly positive. In every case, the staff has been patient and thoughtful in answering questions about complex or time-sensitive projects--and dedicated to delivering finished DVDs on time and in perfect order. Bullseye is detail-oriented, friendly, responsive and sensitive to both technical and aesthetic concerns. Highly recommended. " March Fourth Marching Band - Was Ist Das? 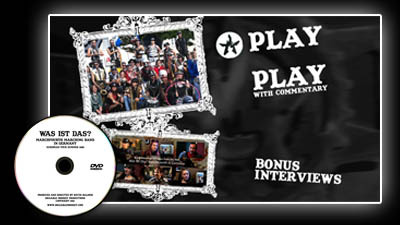 Drummer and filmmaker Kevin Balmer asked for help getting the massive awesomeness of Portlandâ€™s own March Fourth Marching Band squeezed onto a DVD. What a pleasure it was. "Bullseye met all of our needs on our most recent documentary project. Curtis and his staff are both courteous and professional. I would work with them again anytime." Paul Azzurro of Chess4Less.com came to us with 80 hours of instructional video by legendary Chess GrandMaster Roman Dzindzichashvili, and needed finished products he could take to market. 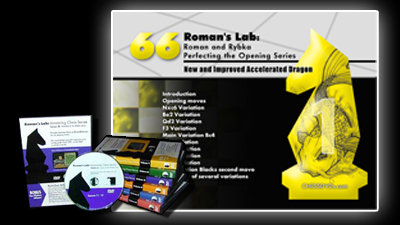 We handled everything from art design to encoding and authoring of numerous DVD-5 & DVD-9 titles. "I've been working with the people at BullseyeDisc since 1996 and they have taken good care of me on every order. They've always been a great help with my projects, and when it was time for me to move to DVD, they made it effortless for me. They always produce a wonderful product with great prices and take care of the details so I can concentrate on my business. Curtis and his staff always exceed my expectation with their fast personable customer service."